Joseph Gomes Service Details - Kitchener, Ontario | Henry Walser Funeral Home Ltd. Passed away peacefully on Friday, September 28th, 2018 at Grand River Hospital at the age of 96. 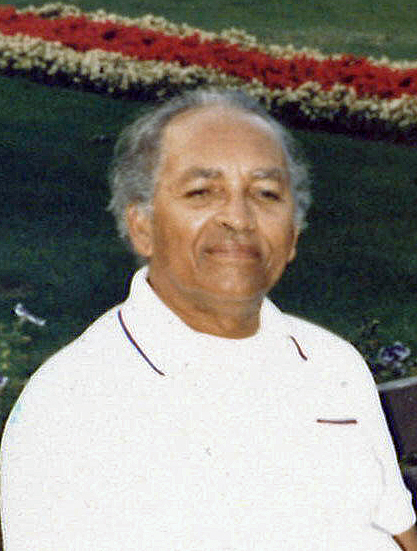 Beloved husband of the late Maizoon "Najo" Gomes (2001). Loving father of Elicia Gomes, Jennifer Gansham, Jerry (Shanta) Gomes, Pamela (Wazir) Hamid, Milton (Golie) Gomes, Natalie (Hector) Naidoo, David Gomes, Troy Gomes and the late Margaret Edwards (2016) and Winston Gomes (1965). Cherished grandpa, great-grandpa and great-great-grandpa. Will be remembered by his sisters and many nieces and nephews. Predeceased by his two brothers and two sisters. Joseph's family will receive relatives and friends from 5:00 pm - 9:00 pm on Monday, October 1st, 2018 at the Henry Walser Funeral Home, 507 Frederick Street, Kitchener, 519-749-8467. Tributes at 7:00 pm. Visitation will continue on Tuesday, October 2nd, 2018 from 9:00 - 9:45 am, followed by a funeral service in the chapel at 10:00 am. Interment at Parkview Cemetery. Reception to follow at Conestoga Place, 110 Manitou Dr, Kitchener. Visit www.henrywalser.com for Joseph's memorial. Our heart felt condolences to Anna and the whole family for such a significant loss. 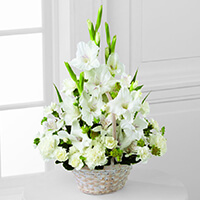 Gomes Family - we are deeply saddened by this tragic loss in your family. I've never had the pleasure to meet him in person - however i do know that his children are the fruits of his labor and love and a direct reflection on the man himself - I can only imagine how fun loving, caring and kind an individual he must have been to create such a beautiful family. You all are in our prayers. The Persauds. My heartfelt condolences to the Gomes family at this difficult time. Our deepest & heartfelt condolences to the entire Gomes family. Thankful he had a long & happy life. May he rest in Peace. With heartfelt and deepest sympathy to the Gomes Family. May God give you Faith and strength at the sad time. With Love. My deepest heart felt condolences to the Gomes family. Rest in heaven.